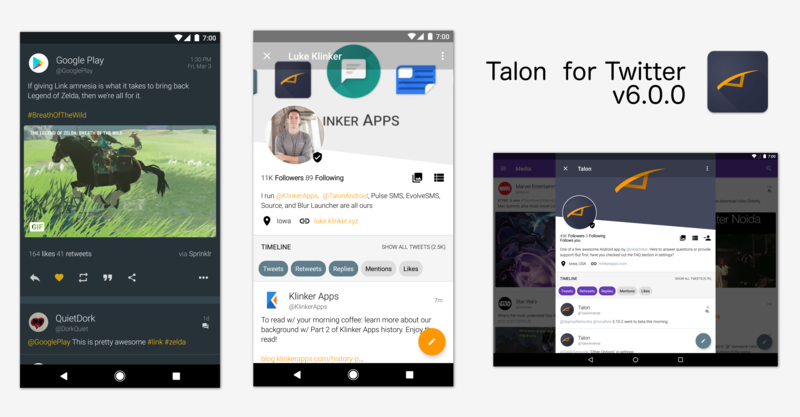 Today, I am happy to be releasing Talon 6.0.0 to BETA. This version has been a ton of work and time, but it is well-worth the wait! With Talon 6 overhauls all of the pieces of the app you use most, from profiles and tweets, to the image and article viewer. Everything is faster, everything is sleeker, everything is easier to use. Plus, it comes with a ton of new features. I have been working on this update for quite awhile, tons of background things have been changed, simplified, iterated, and improved! Overall, this is such an superior experience. I have one major thing that I will be open-sourcing, from this version, but it won't happen for a few days still. If you are a developer, look out for that shortly!